25.08.2014. Flushing Meadows, NY, USA. 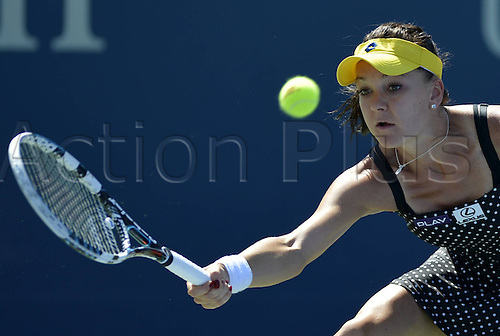 Agnieszka Radwanska of Poland competes during for women s singles 1st round match against Sharon Fichman of Canada at the U.S. Open tennis tournament in New York, the United States, on Aug. 25, 2014. Agnieszka Radwanska won 2-0.